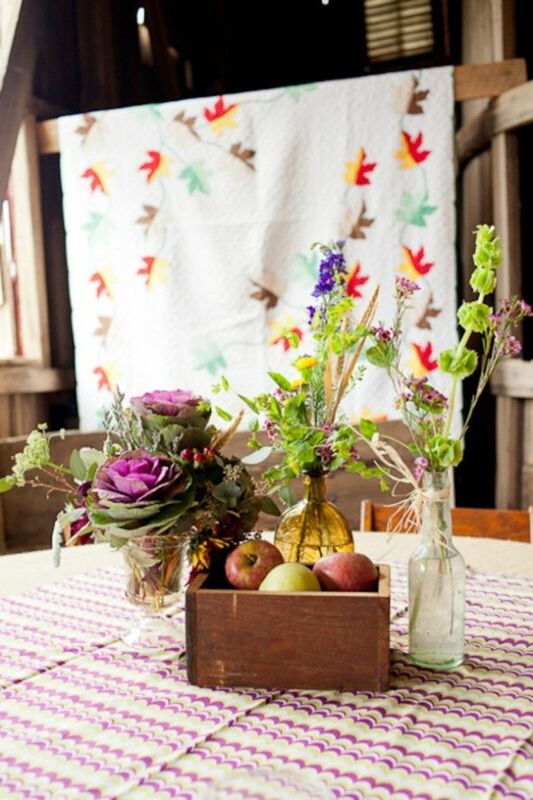 I love the sort of down home rustic look for weddings that many brides are choosing these days. 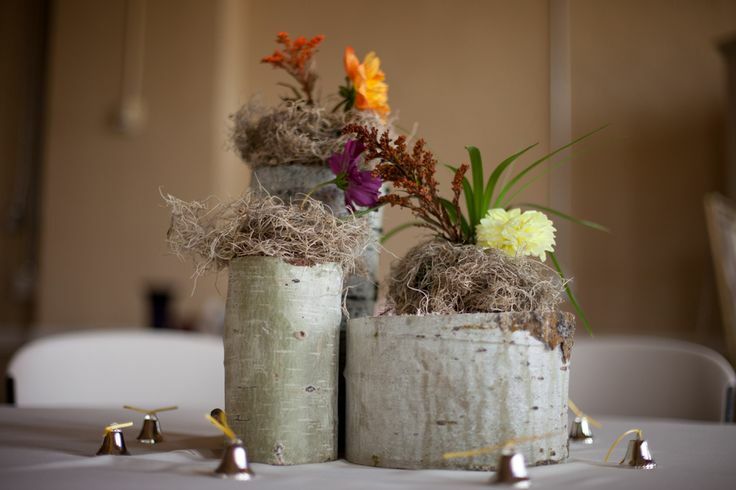 Maybe this is something you would like to do and here are some inexpensive ideas to help you along as you plan your centerpieces. 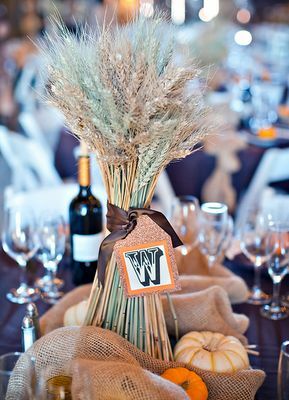 When planning to do DIY rustic centerpieces gather items such as wood, pine cones, grain stalks, bare-birch branches, wonderful leaves, dried grasses, small gourds and fruit (apples, pears, cranberries, citrus). 6. An arrangement of beautiful and colorful fruits and vegetables that are non perishable in a rustic basket or cornucopia is another wonderful table centerpiece. 7. 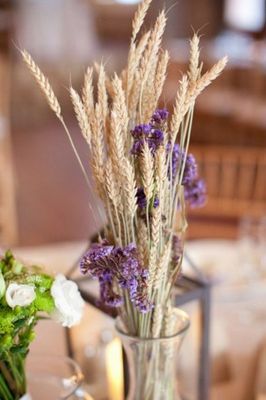 Buy 4" pots of flowers or herbs and depending on the size of your tables arrange a group of them in the center of the table on a bed of Spanish moss like florists use. 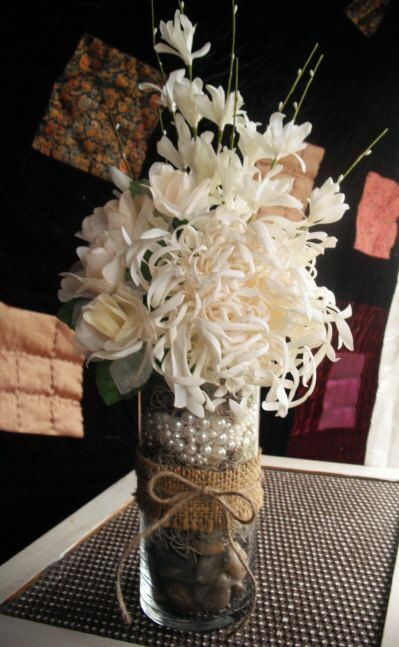 Decorate the pots by tying raffia around tem or covering them with burlap.